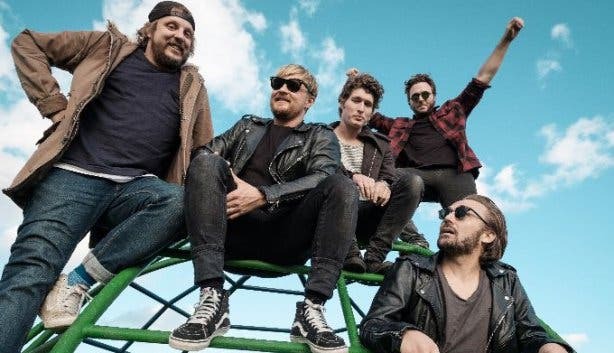 What better way to welcome the warmer months than with live local and international music acts in Cape Town’s historic botanical gardens. Read all about the summer concerts and get a feel of what to expect this year. One of the biggest names in electronic dance music, UK and global sensation DJ Bonobo with his eight-piece band is performing for one night only at Kirstenbosch Summer Concerts on 8 February 2018. Get more details about DJ Bonobo in Cape Town. 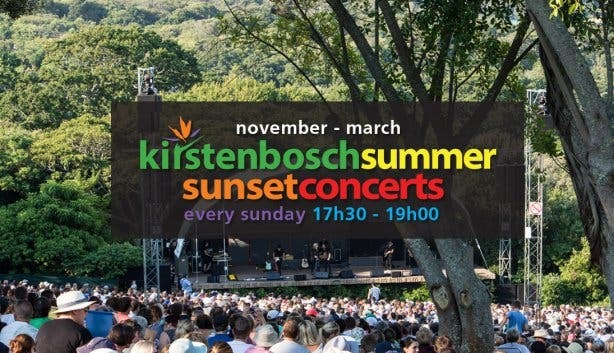 The Kirstenbosch Summer Sunset Concerts stage will include several old favourites, including Mango Groove, Mi Casa, Lira, Goldfish, The Parlotones, The Soil, Freshlyground, Cape Town Folk ‘n Acoustic Music Festival, The Cape Town Philharmonic Orchestra, Matthew Mole, and Fokofpolisiekar. 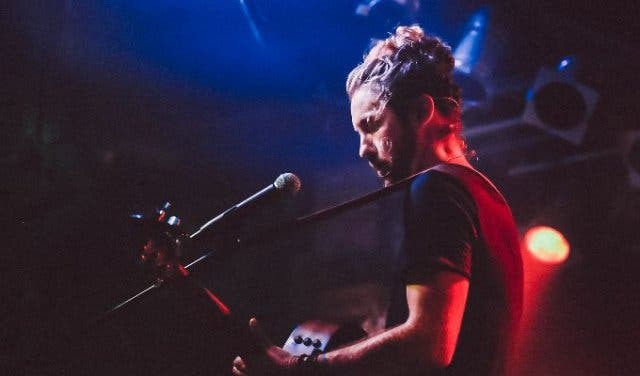 Jeremy Loops, South African singer, songwriter and record producer, will be sharing the stage with the seven-piece Cape Town-based band, Crimson House, for a New Year’s Eve performance. 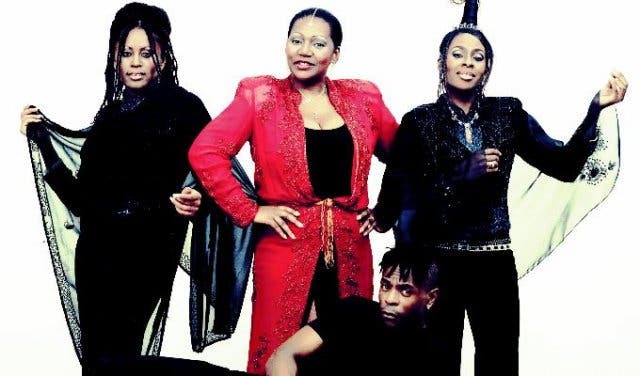 Alongside these performances, you can also look forward to Boney M. featuring Liz Mitchell with their European chart-topping hits such as Daddy Cool, Ma Baker, Belfast, Rivers of Babylon, Brown Girl in the Ring, Rasputin and Mary’s Boy Child. 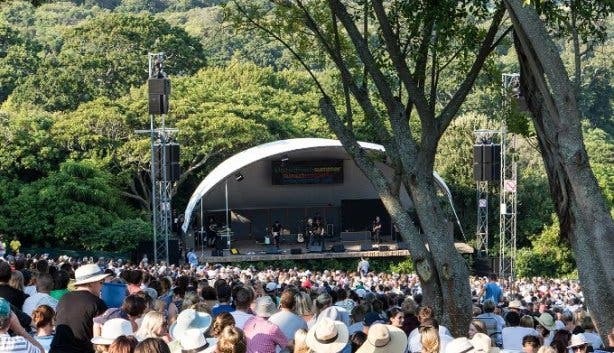 This year, the Kirstenbosch Summer Sunset Concerts 2018/2019 will also open up its stage to many artists who will be performing at Kirstenbosch for the first time. 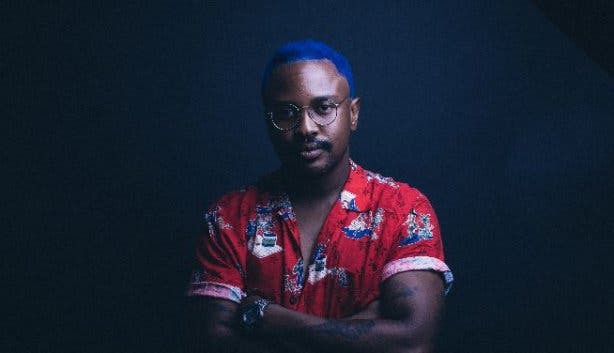 Tresor, winner for the Best Pop Album in 2016 and 2018, will open this year’s concerts series with his Afropolitan sound. The house duo Black Motion, well-known for their use of the African drum and not conforming to the usual house music sound, will be sharing the stage with Collide singer, Lady Zamar. Afro-soul singer-songwriter, Amanda Black shares the stage with producer Sun El Musician. Other newcomers to Kirstenbosch are Jan Blohm, Spoegwolf, Mafikizolo, Bam Bam Brown and Easy Freak. Time to share with the friends and get your tickets from webtickets.co.za. Do not smoke in the audience. Do not sit on chairs that block other people's view of the stage. Do not pick flowers or walk in flower beds. Do bring something to take your rubbish home with you; this is a bin-free world heritage site. Do not leave a mess. Do bring alcohol along, but leave the bad attitude at home. Get spiritual in nature this Easter and celebrate Earth Day at Vortex trance party. Sinatra lives on as the acclaimed show featuring British performer, Richard Shelton and the 17-piece Johannesburg Big Band comes to town in Sinatra and Me. 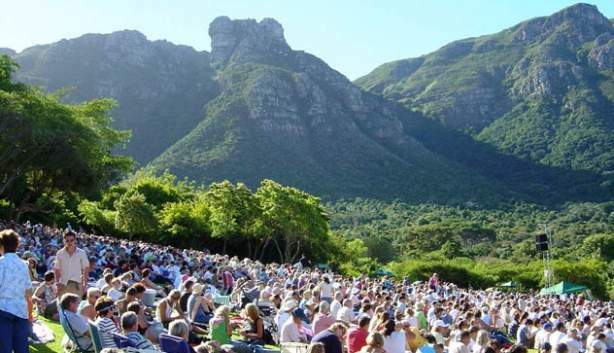 Sing along by candlelight this December at the Kirstenbosch Carols. Find out all about Cape Town’s free Silo Concerts. 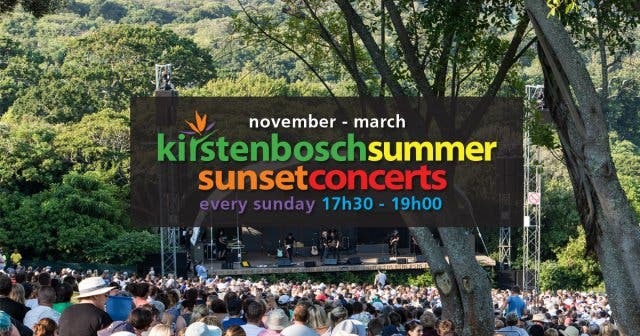 Dance on the lawn as the sun goes down at Camps Bay Sunset Silent Disco, or maybe watch a movie under the stars at Kirstenbosch Gardens with The Galileo Open Air Cinema. Take a look at our not-to-be-missed list of annual music festivals. If you like a little trance in your life have a look at our trance party schedule.